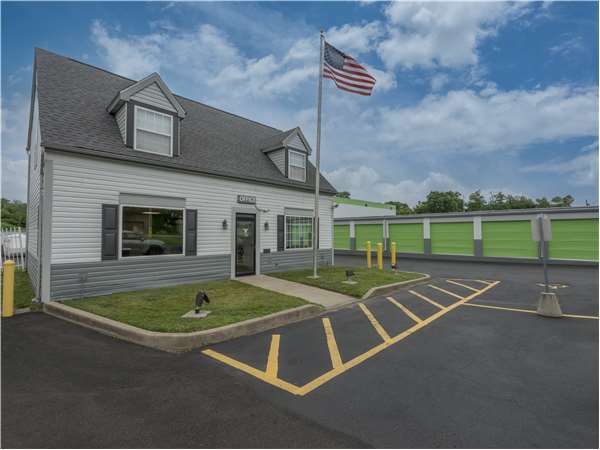 Located on Wooster Pike just off Columbia Pkwy, Extra Space Storage serves Cincinnati residents near Fairfax, Mariemont, Plainville, Madisonville, Oakley, Hyde Park, and more. Locals will recognize our facility a few minutes south of Mariemont Junior High School and a few minutes west of Mariemont Gardens Park. Extra Space Storage is about 2.5 miles from Cincinnati Municipal Airport, making us a convenient option for anyone who needs a secure storage unit close to the airport! Whether your storage needs are residential or commercial, Extra Space Storage on Wooster Pike has the solution you're looking for in Cincinnati near Fairfax! We have a variety of storage unit sizes, heated storage, vehicle storage, and exceptional security! Very good customer service. The process is easy and the hours are good. There isn't much complexity in the storage unit business but consistent customer service surely helps and they have that here. I was very impressed with the great cost of the facility, and I especially appreciated 1/2 off the first month's rent! The location was easy to find, yet the gates and security system made me feel that my belongings would be taken good care of while in storage. I also really liked the convenience of auto-pay online, and how easy it was to set up. The facility was fairly clean, although I had to use bug spray when I arrived to clear away a hornet's nest and several spider webs. Otherwise, everything was nice. There are many companies that talk about their "focus" and "customer satisfaction". Key work here is "talk". Sometimes they display a mission statement that sounds great, but no focus to actually accompolish the goals. I have been involved with ExtraSpace Storage as a customer for only a few months now, but have been extremely impressed with their very professional attitude, and more importantly, their system to be sure that every aspect of what I want and need is handled in a first class manner. The space, facility, and entire area is clean and very well maintainerd. I was welcomed with friendly staff in an extremely clean, pleasant environment! Everyone I spoke with explained everything clearly & always greeted me with a smile. I will DEFINATELY recommend Extra Space Storage to my friends & family! I'm very happy with my storage unit. Nothing to complain about, and my experience thus far has been very agreeable. This facily is very clean, secure and the staff goes above and beyond to make sure your needs are being met. When I moved in there was an issue with the moving truck/company that I had used and the staff at Extra Space Storage went the extra mile to help make my move happen. If it wasn't for them, I seriously don't know what I would have done. I could not be happier at this facility. They take pride in their property and the happiness of their customers. I feel very safe going to this facility and their hours are great as well. Their online payment system and email reminders are awesome. I am very pleased at this facility and I would recommend them to anyone. Thank you!!!! Drive south on Red Bank Expy. Continue onto Red Bank Rd. Cross Columbia Pkwy and continue onto Wooster Pike. Our facility will be on the left after Mariemont Ave.
Drive northeast on Columbia Pkwy. Cross Beechmont Ave and continue straight. Turn right onto Wooster Pike. Our facility will be on the right after Trade St.
Drive northwest on US-50. Cross Mariemont Elementary School and continue straight. Turn left onto Wooster Pike. Our facility will be on the right after Trade St.
Drive east on Linwood Ave. Turn left after Beechtop Ln to stay on Linwood Ave. Cross Columbia Pkwy and turn left onto Eastern Ave. Continue onto Columbia Pkwy. Turn right onto Wooster Pike. Our facility will be on the right after Trade St.